Short Pocket Made to Hold Smaller Literature. 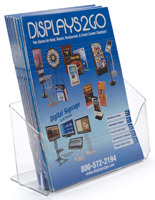 Made of Acrylic to be a Lasting Display. Clear Construction Makes for Easy Viewing of Interior Contents. 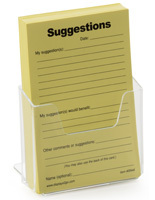 The tabletop information holder is a half-sized literature display meant to house items like comment cards or coupon books. The single pocket is measured at 8.5” wide and 3.5” high and may possible stack items side-by-side if their width permits. 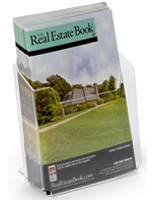 The information holder that is made of acrylic is durable and affordable so that any business can use these to keep leaflet neat and tidy. 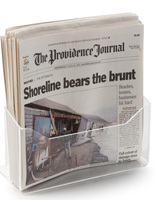 The single pocket has a lip at the back to keep the literature display steady and upright. 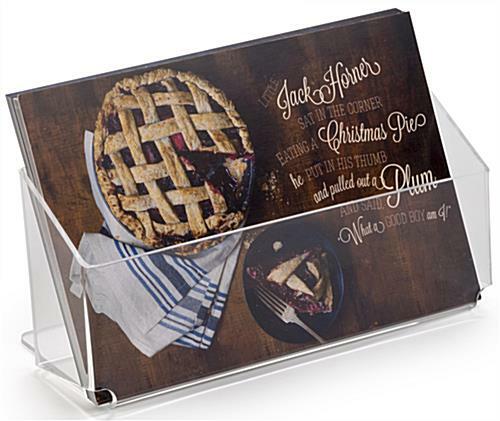 The holder has a depth of 2”, which allows for the placement of many items and cuts down on the need to refill the structure as often. 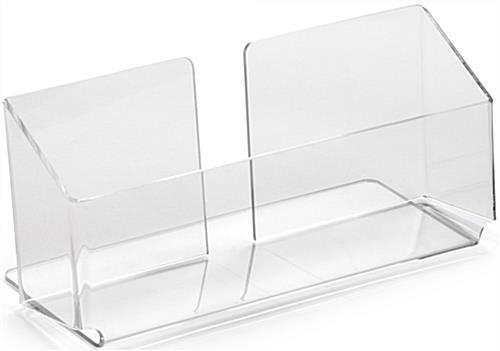 The acrylic compartment is easy to move around because of its lightweight materials and with its compact styling will fit into many different spaces. 8.8" x 3.6" x 4.8"
8.6" x 2.8" x 2.0"